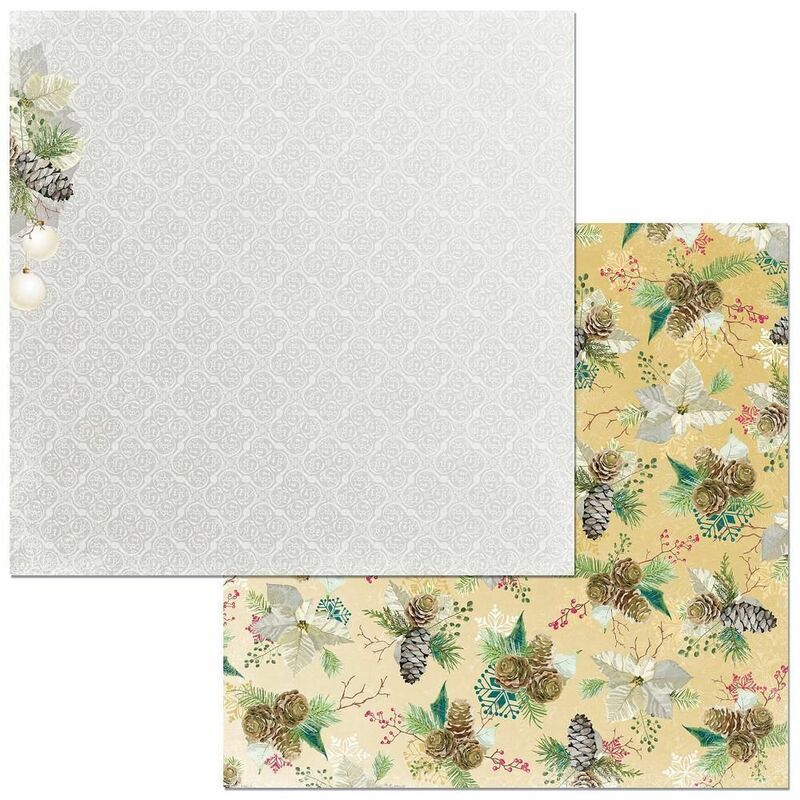 This 12x12 double sided paper has a Pinecone accent on a Cream Background on the frontside. The reverse side has beautiful Pinecones & Berries on a Light Golden Background. Part of the Christmas in the Village by BoBunny Press. Look for coordinating Designer Papers.